Mental Performance Can Be Hurt By Even Mild Dehydration : Shots - Health News Dehydration has long been known to slow physical performance. Now there's evidence that too little water can hurt cognitive performance, too, making complex thinking tasks harder. Unless you replenish fluids, just an hour's hike in the heat or a 30-minute run might be enough to get mildly dehydrated, scientists say. "We find that when people are mildly dehydrated they really don't do as well on tasks that require complex processing or on tasks that require a lot of their attention," says Mindy Millard-Stafford, director of the Exercise Physiology Laboratory at Georgia Institute of Technology. She published an analysis of the evidence this month, based on 33 studies. "If I were hiking at moderate intensity for one hour, I could reach about 1.5 percent to 2 percent dehydration," says Doug Casa, a professor of kinesiology at the University of Connecticut, and CEO of the Korey Stringer Institute. "Most people don't realize how high their sweat rate is in the heat," Casa says. If you're going hard during a run, you can reach that level of dehydration in about 30 minutes. And at this level of dehydration, the feeling of thirst, for many of us, is only just beginning to kick in. 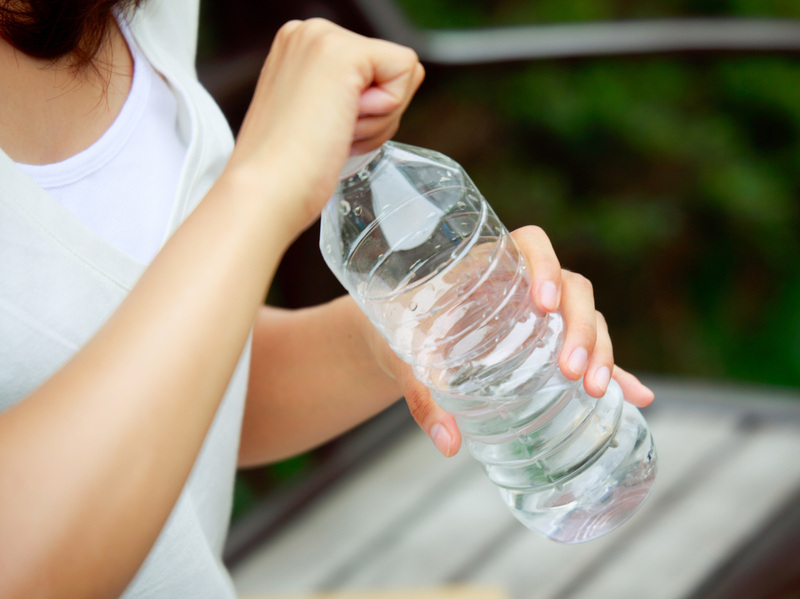 "Most people can't perceive that they're 1.5 percent dehydrated," Casa says. "We did manage to dehydrate them by [about] 1 percent just by telling them not to drink for the day," says Nina Stachenfeld, of the Yale School of Medicine and the John B. Pierce Laboratory, who led the research. The women took one test designed to measure cognitive flexibility. It's a card game that requires a lot of attention, since the rules keep changing throughout the game. "When the women were dehydrated they had about 12 percent more total errors" in the game, says Stachenfeld. She repeated the tests after the women drank sufficient water, and their performance improved. "We were able to improve executive function back to normal — in other words, back to the baseline day — when they rehydrated," the scientist says. Dehydration didn't hamper performance on all the tests; the women's reaction time, for example, was not impeded. The decline was seen during the complicated tasks. "I absolutely think there could be big implications of having a mild cognitive deficiency with small amounts of dehydration," Casa says. If you're a student, for example, a 12 percent increase in errors on a test might matter. And whether you're a pilot, a soldier, a surgeon or a scholar, many daily tasks depend on the ability to be precise and pay attention. One easy test: The color of your urine is a good guide. As a general rule of thumb, the darker the color, the more likely you are to be dehydrated. Aim for shades that have been described as "pale lemonade" or "straw." A color chart developed by physiologist and University of Connecticut professor Lawrence Armstrong can be a helpful guide, researchers say. As we age, we're not as good at recognizing thirst. And there's evidence that older adults are prone to the same dips in mental sharpness as anyone else when mildly dehydrated. Don't wait until you're thirsty. A good rule of thumb is to sip fluids throughout the day. No need to chug huge amounts at one time; there are some risks to overhydrating, too.